Nosa Ero-Brown is the acting Director of the Open Government Office, Ontario’s Treasury Board Secretariat. Nosa is responsible for the implementation of the Ontario government’s Open Government Strategy. In this role she is working to provide access to high-value data and information that supports innovation and strengthens public policy – and testing new public engagement methods to involve Ontarians in decisions regarding the issues that impact their lives. In addition, Nosa is responsible for leading the implementation of Ontario’s commitments and action plan as part of the subnational pilot project of the Open Government Partnership. 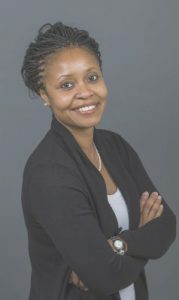 Previously as Manager of Policy and Partnerships in the Open Government Office, Nosa was responsible for leading the development and implementation of Ontario’s Data Directive as part the province’s Open Government Strategy. In this role she worked to provide access to high-value data and information that supports innovation and strengthens public policy – and testing new public engagement methods to involve Ontarians in decisions regarding the issues that impact their lives. Nosa holds a Master’s Degree in Political Science from University of Toronto; she is also a graduate of the Lester B. Pearson United World College, Victoria BC.